Our team at WT Consultancy (WTC) provides advice on the condition of assets and facilities and the approach to their efficient management. We adopt a commercial approach to ensure that our Client’s imperatives are our primary focus. This is attained by overlaying the commercial practicalities of asset ownership throughout the property lifecycle to ensure our Clients are aware of the commercial impediments, immediate rectifiable issues, forecast capital expenditure, and actual/forecast operational efficiency of the property/asset. We undertake an independent building inspection that examines the condition based issues with a property at acquisition or divestment. Our service extends from a high-level report highlighting risk to detailed inspection and reporting providing a deeper understanding of a building’s quality and condition. Through WTC”s technical due diligence service our clients gain an understanding of the commercial constraints and opportunities, forecast capital and maintenance expenditure, and operational efficiency of the property. WTC undertakes a detailed review of the lease to understand the make good obligation prior to inspection of the premises and reporting. We are able to provide a reporting function from lease inception and update/alteration through to termination. Our Schedule of Condition at lease inception provides certainty, clarity and mitigates future disputes while our Final Schedule of Condition at termination assists in lease negotiations and itemises breaches and costs the remedial works required. We are also able to assist in the negotiation phase. WTC undertakes a comprehensive, independent building inspection to assess the current condition. We are able to capture elemental data via proprietary software which may include condition, backlog maintenance, compliance, risk, disability access. We are able to present the consolidated data via web portal which can then be manipulated and aid the preparation of maintenance and capital expenditure plans and budgets. We are also able to review the current maintenance regime and make recommendations to ensure compliance with best practice. This ensures our clients benefit from a comprehensive understanding of their building or property portfolio which enables asset management decisions. Asset registers can form the basis of asset planning, funding and tax depreciation. At WTC, we are able to compile asset data into asset registers ranging from basic to highly detailed with a great deal of granularity including bar-coding. WTC is also able to utilise propriety software to ensure robust data collection. Through our asset registers our clients are able to understand asset ownership, forecasting, planning, funding and tax depreciation. 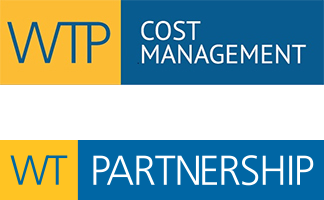 As a global leading cost and advisory firm with over a 60 year history, we are able to utilise our collective cost database across multiple disciplines, offices and continents to provide a market tested forecast of capital expenditure. We also utilise third party benchmarks (BCIS, CIBSE, MSCI) to check the veracity of our data. This ensures our forecasts withstand interrogation and have a commercial overlay which enables effective management of your property through the identification of cost anomalies and trends as well as enabling benchmarking buildings expected performance.